What do we call this? Tea cup circles? How do you refer to these circles by tea cups? Suppose, I want to say an office boy, how should I say it precisely. I'm stuck because I don't want to call it as 'spilled' tea. Nor do I refer them to drops of tea. Those are tea rings by mugs/cups. Are they stains....so clean this tea cup stains? Cup stains? Hey, could you please clean this _________________? Is there any term for that? How do natives say this? As a native speaker, I would use one of the terms you've mentioned - I would definitely call it a tea ring. According to Google Ngrams, cup ring has enjoyed widespread usage, but I personally would consider that as an inferior option to a "<beverage> ring" formula. Dogbert (facetiously) calls them "brown rings of quality". 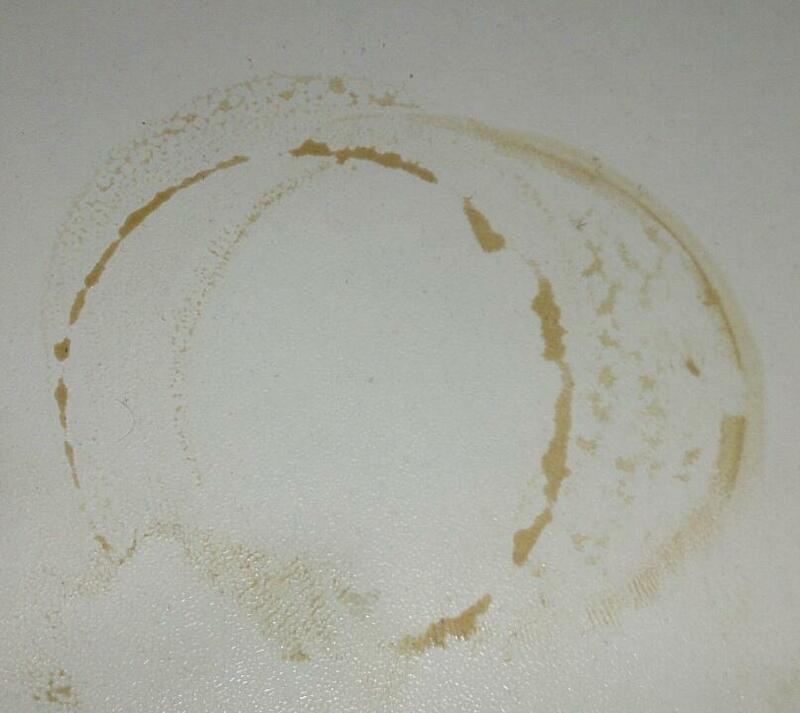 If (and only if) the "brown rings of quality" cannot be easily washed off, then they are "stains". Not the answer you're looking for? Browse other questions tagged word-request phrase-request american-english british-english word-usage or ask your own question. What do you call the sediment of brewed tea at the bottom of a cup or a teapot? What will you call this part in a monitor stand? what do we call the second caller?